THE City Government of San Fernando, through its City Social Welfare and Development Office (CSWDO) recently promoted the rights and the well-being of persons with disabilities (PWDs) by joining the world in celebrating PWDs’ Welfare Day held at Heroes Hall here. The International Day of PWDs is held every third of December and is a program of the United Nations (UN). The event was attended by some 200 Fernandino PWDs who participated in dance performances, fun games, and other activities. 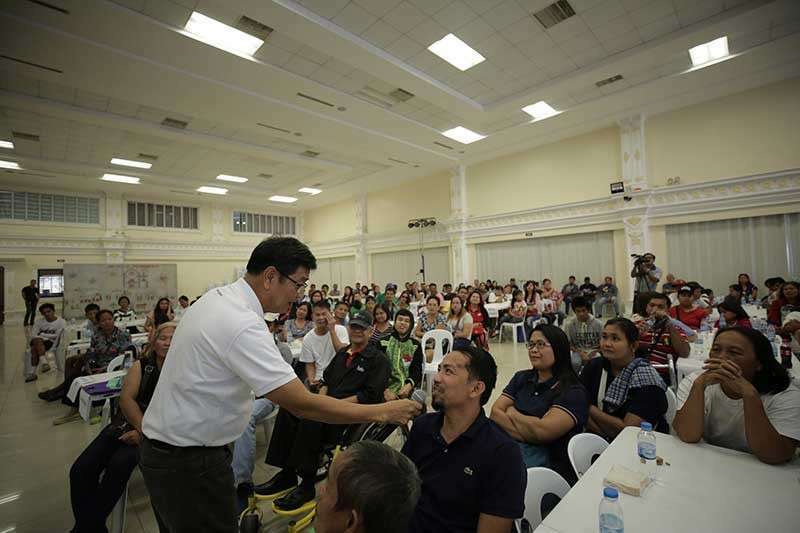 Mayor Edwin Santiago, who graced the event, said that PWDs are close to the heart of the city government. “My admiration is very big for people who have special needs. They all have a special place in every Fernandino’s heart. You are all close to our hearts because you are the reflection of fortitude and self-esteem. Yes, you have special needs but you are not different,” Santiago said. Also present in the activity was Vice Mayor Jimmy Lazatin, who said that PWDs are also capable of being happy and being human.